Splicing the genes of an accountant and an engineer might help cost-justify plant improvement projects, but a dash of showmanship and passion also help build capex consensus. Money begets money, and those who control the purse have no shortage of options on where to park their funds. Unfortunately, manufacturing in general and food and beverage production in particular usually are not in the top tier of options. 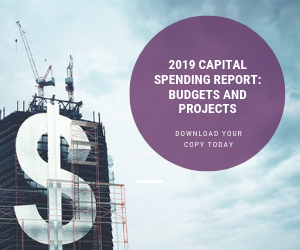 Capital improvements have to compete with marketing programs, acquisition war chests and investor disbursements for funding. If projects are to make the transition from drawing board to reality, engineers and production managers must be conversant in the lingua franca of accountants. If the efficiency gains and payback calculations overlook or omit any key factors, a project might fall short of the internal rate of return and never be funded. But capital projects aren't just about money; they also involve human interaction. The difference between projects that get done and those that languish is not simply a matter of which generate the fastest ROI. It also has to do with the people who are pitching them and the groundwork they lay. Data collection and reporting systems are a funding challenge today, and they were an even tougher boardroom sell 12 years ago. As the 20th Century was drawing to a close, industry threw billions of dollars into IT upgrades to avoid a feared Year 2000 computer meltdown. Y2K turned out to be a non-event, and senior management was left with a sour taste, questioning what had been gained by diverting capital from other projects. It was not the best time to request $35 million to implement a manufacturing execution system (MES) across a platform of 48 plants and 500 lines. Walt Staehle, then a director of manufacturing execution & shop floor information systems, drew the assignment at Kraft Foods. Standardized data on overall equipment effectiveness (OEE) and other key performance indicators was viewed with suspicion and apprehension at the time. Some processing professionals thought the data would determine which plants closed and which would be modernized. Preliminary work on the MES project was paid from operating budgets, but the board of directors would make the final go/no-go call. Before approaching the Kraft board, Staehle began lining up support among the vice presidents of various corporate divisions. These individuals needed an answer to WIIFM: what's in it for me? Unless he could convince them that MES would deliver real value to their operational areas, those managers would either be indifferent or consider MES a direct threat to funding for their own pet projects. By the time he made his funding pitch, Staehle had six vice presidents solidly in his camp. Simply discussing ROI numbers and discussing other fundamentals would not be enough. "The folks in that boardroom are looking to see if you're confident and have the stomach and the passion to drive the project," explains Staehle, who recently was named senior director of national and strategic accounts for Siemens Industry Inc., Spring House, Pa. "They want to know, 'Does this create a vision for us, does it support our vision, is this a paradigm shift?' And they want to know if they have a leader that they can entrust with this investment. That goes beyond ROI." Even with middle management support, Staehle faced lobbying by in-house competitors and senior vice presidents with their own agendas. He laid out the financial aspects, described how risk would be managed, explained the quality-assurance benefits, then addressed the emotional element. "The room went absolutely quiet for what seemed like an hour but was probably just seconds. Then the board agreed to fund it." Before America's financial industry imploded in 2008, manufacturing was the red-headed stepchild of investment. Why put a dollar into producing goods on the chance of receiving two dollars in five years? After all, derivatives and exotic financial instruments could yield triple returns overnight. Those opportunities no longer exist, of course, and although food companies by and large are awash in cash these days, generally they are directing it toward acquisitions, bigger dividends and stock buy-backs. Whatever's left goes into the capital bucket, where individual projects compete with other possible initiatives in the facility and, in the case of multi-plant companies, throughout the network. Executive management of privately held companies are more tolerant of longer paybacks than those at large public firms, observes Paul Hudale, sales director at Nutec Group, a York, Pa.-based architectural engineering firm. And the gap is widening. "Small guys tell you point blank, 'We can take a seven-year payback, we're in it for the long haul,' " he says. Conversely, a disposable-building philosophy is evolving at publicly traded corporations. Cognizant of the changes automation has brought in the past 20 years, they are capitalizing greenfield projects that will reach obsolescence at the end of the depreciation schedule. Greenfields will always account for a portion of capital spending, of course, if only because the fastest growing food companies — think Greek yogurt-maker Chobani and Living Essentials, maker of 5-Hour Energy — typically manufacture products that didn't exist 10 years earlier. Nonetheless, new construction is a waning investment category. A growing share of spend is shifting to systems that boost throughput, improve efficiency or address food-safety concerns. Packaging lines have been popular options that show few signs of losing favor, agree Hudale and John-Paul Saenz, president of the industrial group at Haskell, a Jacksonville, Fla., design-build firm. Haskell has been realigning its professional services to fit the shift in spending priorities, adding bench strength for in-plant projects. Thirty months ago, it acquired E²M, an Atlanta packaging-line integrator. In December, it snapped up Seiberling, the Beloit, Wis., specialists in process engineering. Capital outlays to accommodate new packaging formats trump projects to add capacity in today's market, according to Saenz. "Packaging firms are in the plants all the time," Nutec's Hudale observes. "They're there more than we are." It seems counterintuitive, but large food companies are more likely to turn to A/E firms for help in calculating payback than their smaller counterparts. Project scope is part of the reason, but other contributors are the greater tendency to outsource engineering responsibilities in large organizations and the silos of responsibility that exist. "Smaller clients are able to involve their entire staff and put together a team that draws from engineering, maintenance and finance to come up with a reliable ROI calculation," says Kurt Warzynski, process engineering manager at Stellar, another Jacksonville, Fla., A/E firm. "They have more interaction." "Engineers are not always great about communicating the ROI," adds Lisa Diven, business development manager at Burns & McDonnell Inc., Kansas City, Mo. "You must engage the operations team and the supply chain folks to understand the true costs and returns." Cross-functional engagement becomes more difficult as organizational complexity increases. Some projects go off the rails when proponents fail to account for the ripple effects on infrastructure. For example, new processing or packaging systems might require additional piping or more compressed air than existing systems can deliver. If those costs aren't included in the original ROI calculation, the project is doomed. "Anybody can calculate the ROI on a piece of equipment," sniffs Mark Shambaugh, president of Shambaugh & Son, Fort Wayne, Ind. "Most plants are running lean. If they don't have the expertise to get a firm cost number, the project will get blown away later." Haskell's Saenz echoes his point. "A lot of engineering departments are getting smaller and smaller," he agrees. "They really rely on third-party consultants to understand the state of their current manufacturing systems." Airtight payback calculations are especially important if borrowing comes into play. GE GE Capital, Corporate Finance draws on the expertise of its parent corporation when evaluating the financial needs of manufacturers. Chris Nay, senior managing director for food & beverage in the Chicago office, calls on four industrial engineers to benchmark food plants and calculate expected payback and risk level. "We bring not only capital but smarter capital to clients," he says. The abstraction of software makes it a bigger ROI calculation challenge than projects based on mechanical motion and stainless steel. As the scope of the program expands, so does ROI complexity. Quantifying a return on software is a number-crunching exercise Tom Nessen wrestles with on an ongoing basis. Nessen is the senior solution engineer for Plex Systems Inc. (www.plex.com), a Troy, Mich.-based vendor of ERP software. The firm's roots are in automotive, though its focus shifted to food and beverage two years ago. MES functions such as inventory management and plant-floor data mining were augmented with front-office functionality over time. Because it is software as a service with a monthly fee and doesn't involve servers and licensing fees, "the cost is often an operating expense and doesn't rise to the level of a capital expenditure," says Nessen. Nonetheless, potential clients need "to come up with a payback that management is reasonably comfortable with," he allows. To that end, Nessen is developing a model that quantifies cost savings that could reasonably be expected through identifiable economies. For example, his spreadsheet includes 20 scenarios involving inventory management. Performance outcomes at other manufacturers who implemented ERP are applied to each metric to derive likely and conservative estimates of improvements in warehouse labor hours, data-entry error reductions, work-in-process cuts, transportation savings, etc. A dollar value then is calculated for moving the needle on a company's current performance to the likely or conservative level. While the model nibbles at labor savings, there are no overt references to head-count reductions, the traditional cost justification for automation. "You hardly hear the discussion of how many jobs can be taken away when automation initiatives are discussed anymore," Stellar's Warzynski says. Instead, management has adopted the view that the greater value is the generation of information to guide decisions on what products to make and how best to deploy resources. "The question now is, how can we use automation to make us more successful?" says Warzynski. Senior management has a fiduciary duty to manage risk and ensure that directing liquid assets or loan proceeds to hard assets is prudent. To execute that duty, reasonable expectations of return on investment are crucial. However, best-guess estimates of the financials are not enough when bold initiatives are being considered. In those cases, confidence and trust in the individuals involved are essential. "You reach a point of no return, when incremental information about ROI isn't going to sell the project to the organization," says Staehle. "At the C level, the concerns are broader and longer in view than at the operational level. It's more than considering one project with a 20-month return and one with a 15-month return, and then taking the 15-month. They want projects that move the organization forward, projects that can be sustained and built upon. Otherwise, they will collapse in time as roles change and people move on." Reinvestment is required in any business, and a certain level is necessary to maintain a plant's current capabilities. But long-term sustainability requires capital above and beyond just-enough levels. That requires leaders who not only can crunch the numbers but also project the confidence and passion to drive successful capital improvements.